A clear departure from his former band's showy antics, Mike Portnoy set his sights on straightforward and hook-oriented music in lieu of the clumsy mess that was Dream Theater. 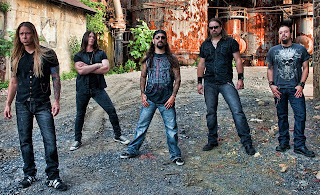 Upon teaming up with Symphony X vocalist Russell Allen, Adrenaline Mob matured into groovy, meandering beast and stood as a reminder that each member's previous work would not be represented in the new project, if only to create distance between relationships gone sour. While the final product is nothing technically impressive like Portnoy's earlier endeavors, the end result is a carefree stab at groove metal from a group of seasoned, well-versed musicians--exactly what the modern adaptation of the subgenre needed and a kick in the face to the tough guy attitude plaguing the style for years. Omertá's biggest obstacle has been appealing to two audiences simultaneously through an attempt at engaging mainstream and off-the-grid rock fans. Notorious for its hype, anticipation surrounded the full-length prior to its release and earned plenty of sneers and jeers, prodding the act for abandoning mechanical, theory-driven roots--and for moving toward a decidedly "less" respectable style in an effort to quickly build a fan base. 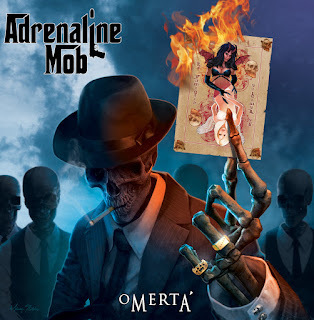 The shift worked swimmingly, nevertheless, placing Adrenaline Mob among bands like Disturbed in mainstream appeal and with slick song writing attached to basic refrains and predictable structuring. With odd time signatures no where to be found, those hoping for music laced with drum fills and intricate leads looked elsewhere. 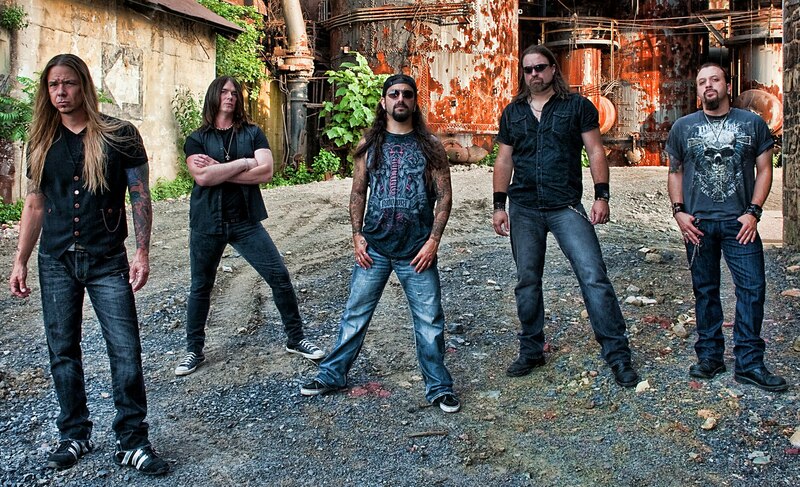 Consequently, it is not always easy to call Omertá purely a metal record. Alternative influences surface with varying degree, sometimes completely overtaking softer songs and sucking any chance at metallicness dry. Portnoy takes the opportunity to sit comfortably backseat, cutting the frilliness from his drumming and pounding rhythmically as an accent to each heavily-chugged guitar riff. Most surprisingly, however, is his ability to pen an infectious chorus--an idea unbeknownst to Dream Theater--and an album filled with three to four minute tracks. Though far removed from a progressive home-court, Omertá still clocks in at a hearty 50 minutes, 11 songs, and with one cover: the biggest shock, Duran Duran's "Come Undone." 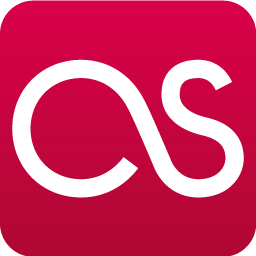 Despite a sound roster of music, by the seventh song the album begins to lose steam and drops slightly in quality. Nonetheless, the enjoyment factor is hardly shaken and wrapping up the remaining tracks comes with relative ease, if not with slight disappointment that Omertá failed to keep its composure. Guitar riffs become one-dimensional, even more simplistic, and lack much of the sledgehammer-like impact of the stronger portion of the record. The writing, as a whole, falls a level below "Psychosane," "Hit the Wall," and "Feelin' Me," but when placed next to other groove metal bands, each individual track is still extremely strong and inspires confidence. With very few shortcomings, Omertá is an incredibly solid album and an impressive turnaround from a man deprived of his tenure in Dream Theater. After receiving countless criticisms, the initial hysteria continues to fade and the complex put forth by fans of Portnoy's previous releases dies down as most accept the record for what it really is: an excellent, accessible, and memorable collection of music. It remains to be seen whether Adrenaline Mob's success will be a one-off or a precursor for a string of hard-hitting full-lengths, but here is hoping for the latter and another taste of refreshing musical restraint.